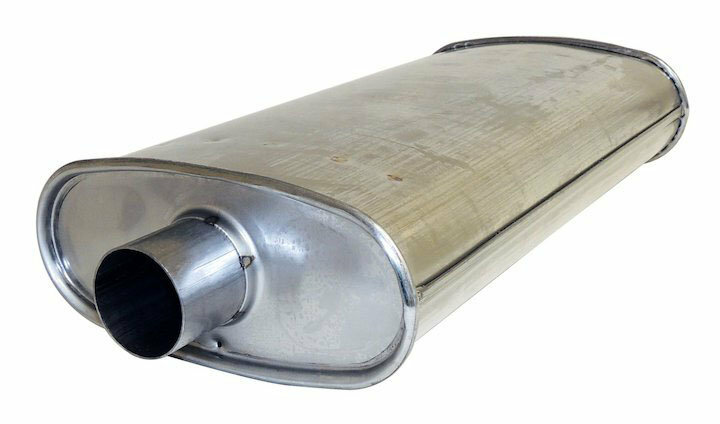 Factory replacement Muffler by Crown Automotive replaces your Steel Muffler that may be rusted-out or dented from off-roading on the trails. Be assured that this muffler will mount right up to factory clamps and deliver a quiet flow according to factory specifications. Fitment: Jeep Grand Cherokee ZJ 96-98 with 4.0L & 5.7L Engine.